Chilkoot Trail/ Klondike Gold Rush Map [ti254] - $10.95 : Trail Explorers Outpost, Keeping the Adventure Alive! 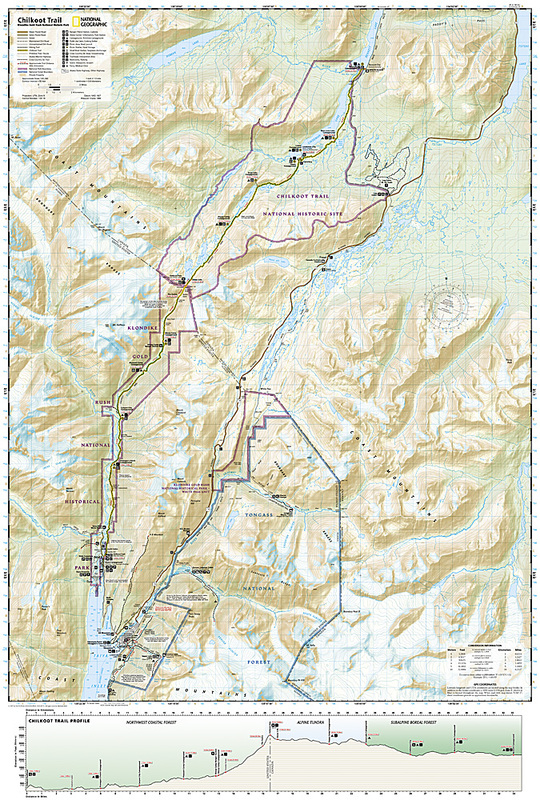 National Geographic’s Trails Illustrated map for Chilkoot Trail in Klondike Gold Rush National Historic Park in the Alaskan panhandle is perfect for hiking, camping, and wildlife viewing in this scenic, rugged frontier. 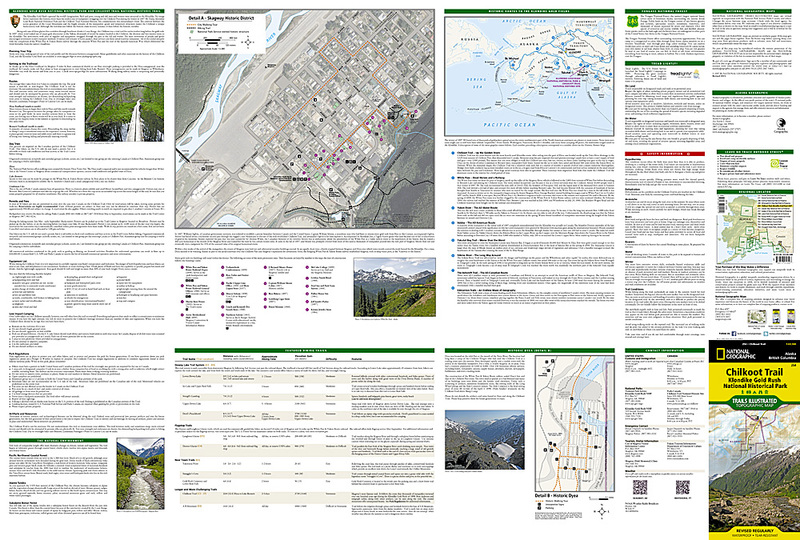 Created in partnership with local land management agencies, this expertly researched map features key areas of interest including Chilkoot Trail National Historic Site; portions of the Klondike Highway; Happy Camp; Taiya Inlet; the town of Skagway; Klondike Gold Rush National Historical Park; Skagway River; Dyea; and Deep, Bennett, Crater, Long, and Lindeman lakes. The print map includes insets of historic routes to the Klondike gold fields, Historic Dyea, and Skagway Historic District with some of the prominent gold rush-era buildings noted. There is a great deal of helpful material about traveling in the area, customs, permits and fees, safety tips, agency contact information, a suggested equipment list, and more. A trail profile of Chilkoot Trail is included as well. A table of featured hiking trails showing distance, approximate hiking time, elevation gain, difficulty, and features will help you choose a path that’s right for you. The map base includes contour lines, shaded relief, and elevations for summits, passes and many lakes. Recreation features are clearly marked, including campgrounds, public use cabins, cross country ski and snowshoeing areas, interpretive areas, and scenic viewpoints. Other features found on this map include: Klondike Gold Rush National Historical Park, Mount Foster, Tongass National Forest. Flat Size 25.75" x 38"